Stockholm, Sweden, December 4, 2018 – As world leaders convene for the United Nation's climate conference in Katowice, Poland, Sweden’s Bluewater says human ingenuity can help the planet avoid climate calamity, but business community must step up efforts to harness human ingenuity as a force for good. “The UN has warned the world is not on track to meet climate change targets and it's clear the business community must scale up and speed efforts to help find solutions to the many environmental issues we face,” said Anders Jacobson, President and Chief Strategy Officer at Bluewater, a world leader in water purification technology and solutions. Bluewater’s innovative Swedish-designed water purification technology will be on show during the Katowice conference at the Sustainable Innovation Forum, running 9 - 10 December. Organised by Climate Action, the Forum is the premier meeting place for policy-makers and climate technology innovators to collaborate and exchange knowledge and will unite 600+ delegates engaged with fast-tracking the global green economy. Speakers at the Sustainable Innovation Forum include California State Senator Bob Wieckowski, Mr H.E. Said Al Tayer, chairman of the World Green Economy Organisation, Jesper Brodin, CEO and President of Ikea Group, as well as Bluewater’s own Anders Jacobson. He described the Forum as a crucial opportunity to drive forward the Paris Agreement framework by providing thought leadership, deep-dive discussion, capacity building and networking on the critical themes of Circular Economy, Energy Transition, Sustainable Mobility and Climate Finance. Bluewater will showcase how its compact Bluewater water purifiers use state-of-the-art technology to deliver pure water from practically any non-potable source. Designed for use in homes, business and public spaces, Bluewater provides peace-of-mind in a world where water quality can no longer be taken for granted by removing unhealthy contaminants like toxic metals, chemicals, pharmaceutical and medical residues, and micro-plastics. Using its own unique, patented reverse osmosis technology called SuperiorOsmos™, Bluewater water purifiers deliver unmatched purification efficiency, reduction in water wastage, operating capacity and service life, and low energy use. 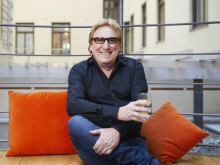 Founded by Swedish environmental entrepreneur Bengt Rittri in 2013, Bluewater has embedded removing the need for single-use plastic bottles and their transportation as a core part of its business mission. Anders Jacobson notes Bluewater has proven how it is possible to use human ingenuity to provide tech solutions able to dramatically cut back on the use of throwaway plastic bottles at sporting events like the Volvo Ocean Race, where the company helped avoid the need for around 400,000 plastics bottles at 11 stop-overs. 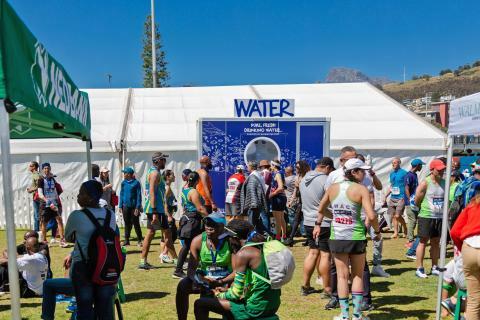 “We’ve also provided alternatives to plastic bottles at running marathons, football matches and rock music events in Cape Town, for example, using non-potable borehole water, and on Swedish Baltic islands suffering water scarcity, where we generated pristine drinking water direct from the sea this past summer, avoiding the use of nearly one million plastic bottles,” said Anders Jacobson.